Mark Maulding is the President and Founder of Grace Life International. He has a Master’s of Divinity from Southwestern Seminary and an undergraduate degree from the University of Georgia. While serving as a church pastor for 10 years, Mark hit a wall trying to do all the things he believed God wanted him to do. He almost burned out on Christianity until God revealed the life-giving power of His grace, also known as the New Covenant. This transformation led Mark to launch Grace Life International in 1995 as a ministry to help others discover the same freedom and joy. 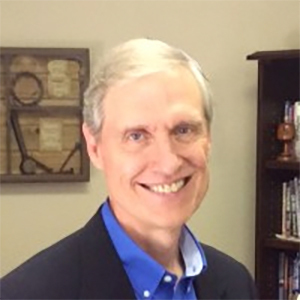 Mark teaches at conferences and churches across the United States as well as internationally. He is the author of the upcoming book, God’s Best-Kept Secret. Mark is married to his sweetheart, Ellen, and they have four adult children, including one with special needs. Mark is a rabid Georgia Bulldog football fan and fitness enthusiast during his down time. 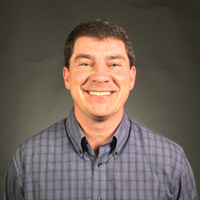 Bill Layle serves as the Vice President and Director of Church Relations. In addition, Bill is a discipleship counselor, teacher, and public speaker. He enjoys speaking locally and internationally on marriage, manhood, and Christian living. Bill is an ordained minister and has a Master’s of Divinity from Grand Rapids Theological Seminary. He served as the Spiritual Formation Pastor at a large church in Kentwood, Michigan for 10 years where he was part of the preaching and leadership team. Bill and his wife, Tonda, have been married for over 21 years and have four wonderful children. But, God used earlier struggles in their marriage to reveal His life-giving grace, which transformed their relationship and family. The change was so dramatic that they stepped out in faith to move their family from Michigan and join Grace Life International full-time. Today, Bill and Tonda enjoy hosting the “Marriage by Grace” couples retreat each Fall. 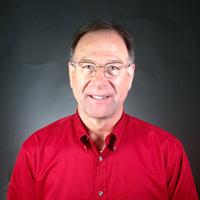 Tom Short is the Director of Discipleship Counseling. He has been on staff for over 10 years. He is a graduate of North Carolina State University, an ordained minister, and served as an associate pastor of a local church. His passions include discipleship counseling, teaching Christians their true identity, preaching in local churches, and traveling internationally on mission trips. Tom and his wife, Debbie, have been married for over 39 years with four sons and six grandchildren. His hobbies include spending time with family, reading, surf-fishing, and hiking in the mountains. 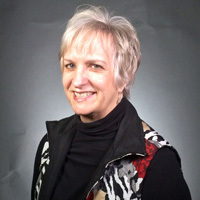 Sandy Witherspoon is the Director of Training, which includes coordinating and teaching Grace Life University. She also disciples women and regularly teaches at the Grace Life Conference, ladies’ retreats, and women’s conferences. Sandy’s passion is seeing people set free to experience intimacy with God. She has a degree in Business Administration from The University of Memphis. Sandy has been married for over 45 years with two daughters and five grandchildren. Her hobbies include traveling, reading, writing, exercising, and spending time with her family.